Are you thinking about getting braces? Harris Dental can help. Check out all the new types. The current menu of orthodontic treatments requires a whole new glossary. Lingual braces are sometimes described as ‘braces behind the teeth.’ These braces can be just as effective at realigning adult teeth as the traditional ‘metal and wires’ kind but are almost completely hidden. Many adults and adolescents who straighten their teeth choose this type of orthodontia. Clear braces, like those from Invisalign, resemble an athlete’s mouth guard. They are removable, so you can take them out for meals and to brush and floss. 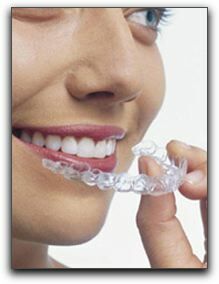 Clear retainers are newer on the orthodontic scene. They cover the teeth like a see-through glove and do not need metal bows or clasps. Some retainer wearers believe clear retainers are more comfortable than Hawley retainers. You don’t need to live with a mouth full of metal to get the beautiful teeth you are seeking. Let Harris Dental develop a custom treatment plan for your smile.